We caught up with Michael Bartels this morning, as he drove home from a pre-Christmas celebration last night. 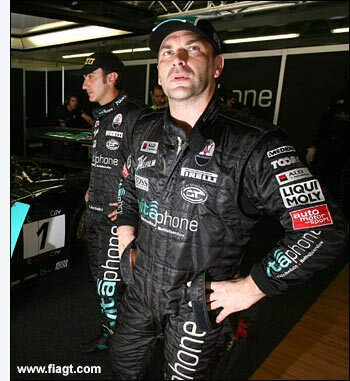 So did you know before yesterday that the Vitaphone team was about to be awarded a Le Mans entry, Michael? “No, I only found out last night, that’s when I received the news too. I was a little surprised. Michael Bartels made the interesting point that he has never raced at Le Mans – and he was interested to learn a little more about the procedure at the test day, and how many cars / teams have so far been awarded entries. “It would certainly be very nice to have the chance to race at Le Mans, but I don’t think we have time to put something together (with another car). It would be wonderful to go with the Maserati MC12, but we asked last year and the answer was no. We reckon that Bartels and Vitaphone have seven or eight working days before the deadline “pour confirmer leur participation”. The situation is more straightforward for Scuderia Ecosse and Aston Martin Racing BMS, which would logically have expected to participate at Le Mans anyway, as they did this year. AF Corse - who knows?